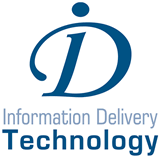 Information Delivery Technology is a partner of Diver BI Group, and is the the exclusive distributor of Dimensional Insight software in Brazil. In the IT market since 1991 and developing projects on several platforms, by 2001 ID Technology was specialising in the Business Intelligence segment. Because of their expertise in developing data warehouse projects using a variety of BI technologies, they were chosen by Dimensional Insight in 2005 to become their exclusive distributor for the Brazilian market. ID Technology works with the Diver BI group on projects for clients who have footprints in both UK/Ireland and Brazil.